At Baylor's Truett Seminary, students are equipped with both knowledge and experience to pursue God's call to ministry. Students work in mentoring relationships alongside pastors, international missionaries and leaders of faith-based entities to gain a unique understanding of life in ministry and insight into the day-to-day operations of churches and organizations. Truett graduates are academically prepared and spiritually equipped to lead and to serve the Church and a world in need. We are pastors and scholars. We are educators and mentors. We are students and ministers. Truett PreviewAt Preview you will experience a glimpse of the spiritually enriching community at Truett. Meet professors, engage in seminar-style classes, tour the campus and city, and dialogue with current students. Lodging and food is provided. We look forward to seeing you soon! 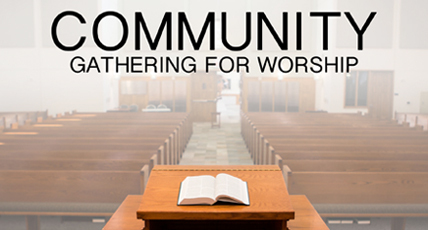 Truett's Community Gathering for WorshipJoin us every Tuesday at 11am for our Community Gathering for Worship. 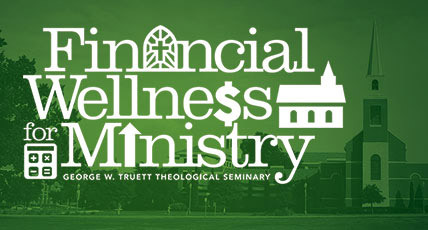 Financial Wellness for MinistryWith the help of a grant from the Lilly Endowment, Truett is proud to introduce a series of professional development events focused on financial wellness for ministry. Each academic year of the 3-year grant, Truett will hold workshops and a conference that address the financial questions facing ministers today. These events are open to students, alumni, local pastors, and all those interested in Financial Wellness for ministry. Individual financial counseling is also available for Truett students and alumni. Community is a word that you will hear often around the campus of Truett Seminary. But "community" isn't just a word to us - it's a way of life. We are committed to learn together, worship together, live together, and journey together. AND it doesn't end at graduation. Lifelong friendships and networking opportunities follow Truett graduates long after graduation. We hope that you will take the next step to join the Truett Seminary community. Visit us now by registering for one of our Previews or apply now! Truett Seminary's faculty are renowned for their excellence in teaching, their passion for the student body, and their exceptional body of publications. However, they are also known around the state of Texas and beyond for their commitment to the Church. Our faculty are leaders in church and missions. Not only do they teach the students of Truett Seminary what it means to be women and men of God who are called to serve the church, they lead by example. Gaynor I. Yancey, D.S.W., professor of social work, Master Teacher and director of the Center for Church and Community Impact at Baylor University’s Diana R. Garland School of Social Work and The Lake Family Endowed Chair in Congregational and Community Health at George W. Truett Theological Seminary, was honored April 12 during the annual Academic Honors Convocation as the 2019 Cornelia Marschall Smith Professor of the Year. Jordan Davis, who will graduate with his master of divinity degree from Baylor University’s George W. Truett Theological Seminary in May 2019, has been awarded the Seminary’s inaugural Parish Pulpit Fellowship. 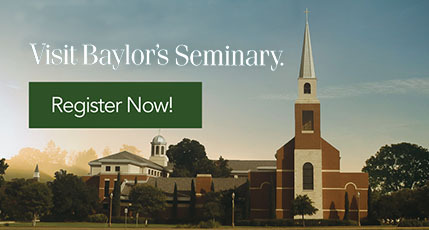 What does it mean to be Baylor’s Truett Seminary? Established in 1991 with classes starting in 1994, George W. Truett Theological Seminary is one of the 12 schools and colleges of Baylor University. As an orthodox, evangelical seminary within the historic Baptist tradition, Truett equips God-called women and men for gospel ministry in concert with the Church through both rigorous academic instruction and intentional spiritual formation. But what does it mean for Truett to be a seminary embedded into a larger university, and not just any university, but Baylor University? Baylor University’s George W. Truett Theological Seminary and Texas Baptists have entered into a new agreement between Truett’s Online Certificate Program and the Texas Baptists Office of Chaplaincy Relations. Through this partnership, students will have the opportunity to earn a Certificate of Chaplaincy Ministry. Baylor University’s George W. Truett Theological Seminary Dean Todd D. Still has announced the appointment of Dr. Angela Gorrell as Assistant Professor of Practical Theology. She will join the Truett Seminary faculty on August 1, 2019 following the retirement of Dr. Ron Cook effective May 31, 2019. This afternoon, we celebrated the upcoming retirement of two beloved Truett professors, Dr. Lai Ling Ngan and Dr. Ron Cook. We asked a few Truett students, alumni, and staff to share their thoughts and memories of Dr. Ngan and Dr. Cook in this video, and we would love to see yours in the comments! Thank you, Dr. Ngan and Dr. Cook, for your many years of faithful service to Baylor's Truett Seminary!! You will be missed! Next week, the Kyle Lake Center for Effective Preaching will host the inaugural Boomers & Beyond Conference at Truett Seminary! The Conference will feature "America's Minister of Encouragement" Dennis Swanberg, as well as Delvin Atchison, Howard Batson, Duane Brooks, Lillian Hinds, Les Hollon, and Dennis R. Wiles. Learn more and register today at baylor.edu/truett/bbconference. Easter Blessings from Baylor's Truett Seminary! He is risen! “I was talking to my uncle, and he asked me what I was going to do after graduation. I felt really confused because I don’t know what I’m going to do in the future. He also gave me a book called ‘Living Water and Indian Bowl’ about an Indian guy who is a Christian. Dr. Stroope said that, while he can’t understand what I’m going through or help me survive in India, this book can help me better know myself and understand what a true believer is in my context. He also encouraged me that God will help me figure out my future and what being a minister in India looks like. After talking to Dr. Stroope, I started reading this book. There is a very interesting part about this person who calls himself ‘Baktha’ of Christ, which means ‘devotee’ of Christ in English. But, in an Indian context, ‘Baktha’ means devotional person to a god, in general. He uses this word because Indians don’t like the word ‘missionary.’ It’s very interesting how this book has continued to guide me and what God is showing me. I'm very thankful for Dr. Stroope’s guidance and how he has helped me see how I can grow in different aspects of my life. He doesn't know how to guide me exactly, but he knows how to redirect me in my own way of seeking Christ.